The first woman ever licensed to practice architecture in California, Julia Morgan was a pioneer on many fronts. 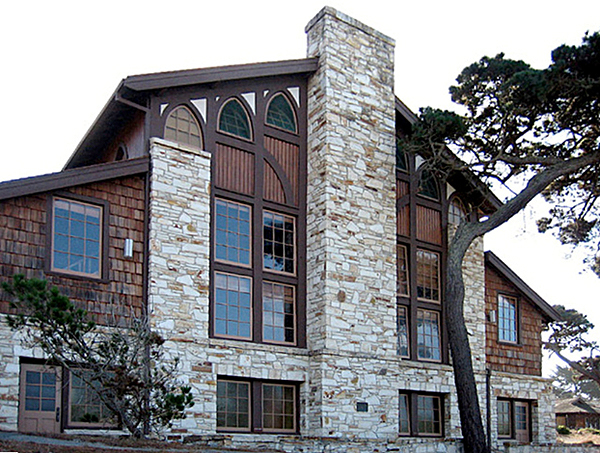 Esteemed for her skill in utilizing materials from the natural environment to create facades and interiors that merged elegance and function in her signature Arts & Crafts style, Morgan was also a bold advocate for expanding the scope of communal spaces to better accommodate the needs and burgeoning identities of women in urban society in the first decades of the 20th century. She introduced new ways to combine style with utility in the construction of boarding houses, community centers and city clubs. Morgan is responsible for the design of 700 buildings including the YWCA of Oakland and many of its local chapters throughout California, as well as the renowned San Simeon’s Hearst Castle. This essay from Curbed pays homage to the innovative talents of Julia Morgan.